The Semi-Finals have just finished! The two best teams, according to their overall number of points are Team of Switzerland and Team of Brazil. As explained in our post yesterday, France was already qualified for the Finale, since it ranked first in the general ranking after the four selective Physics Fights. 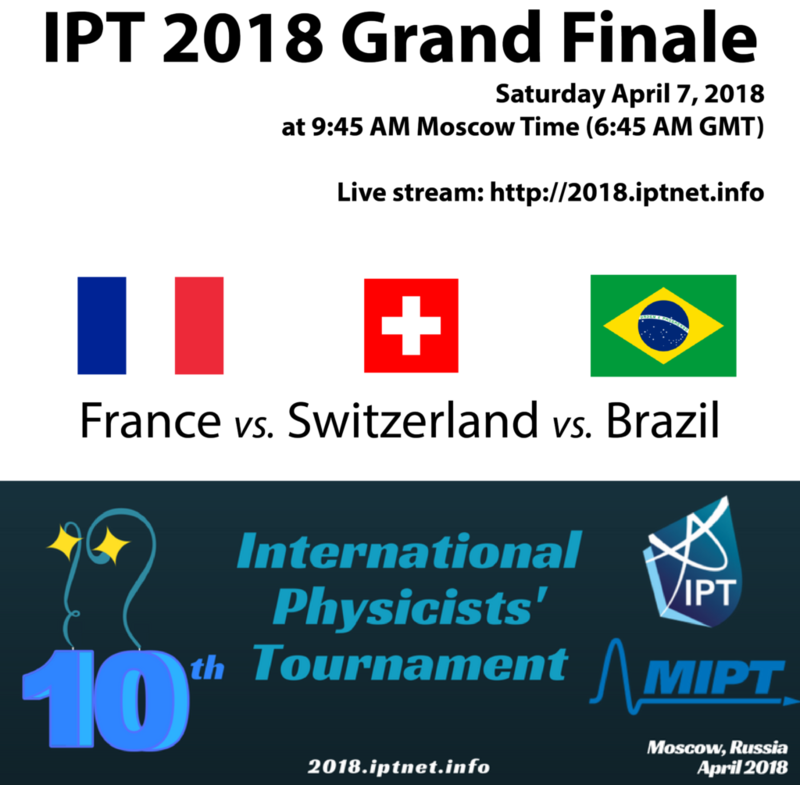 The Grand Finale, which will take place on Saturday morning and should be live streamed (link to come), will thus gather teams of France vs. Switzerland vs. Brazil.